With an attractive and durable deck railing system in Los Angeles, the outdoor environment becomes even more elegant and your safety is enhanced. When you are looking for such solutions in Los Angeles, talk with us. As experts in decking and rail systems in LA, California, we can combine our knowledge, expertise, and experience for the best results possible. We use top rated wood materials and treat them to resist all elements and thus the test of time. 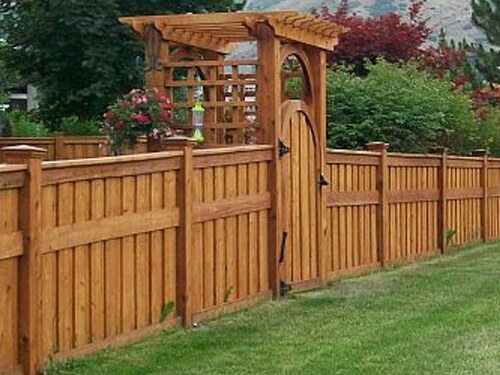 Wood deck rails will look great in any landscape. When you combine wooden decks and rails, you can’t go wrong. Do you like a Baroque style? Need railings plain and simple? Want them extra tall for child protection? 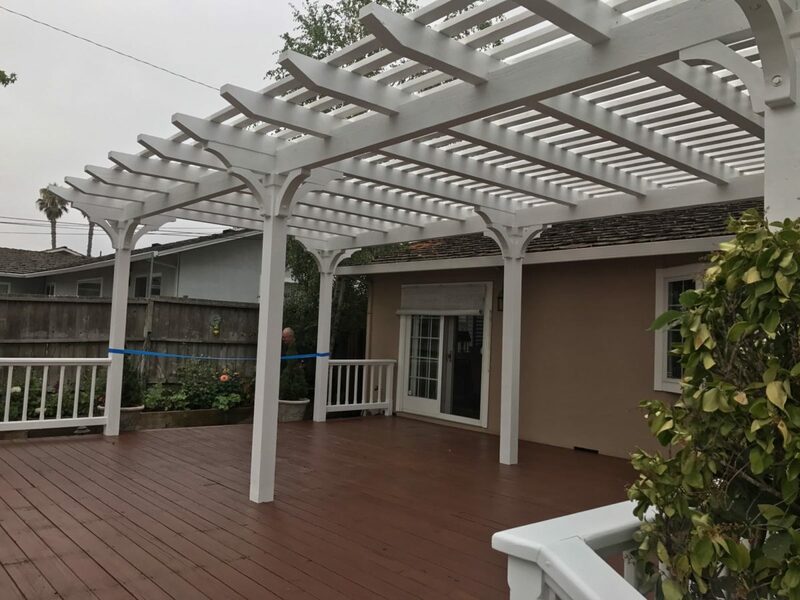 When you leave such woodwork tasks to our experts at Perfection Decks & Pergolas Los Angeles, the job is done according to your needs. 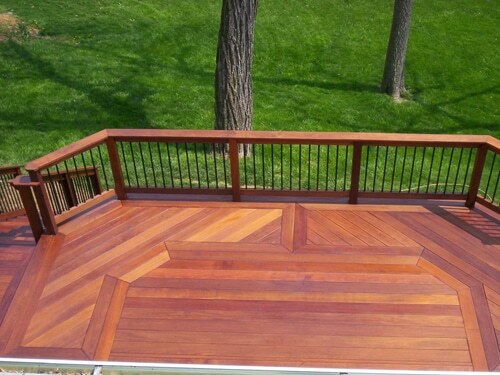 Wood deck railing systems stand out. So, they must by unique as far as their design is concerned and compliment the environment. Our builders can create railings to match your deck. Our company can build both the deck and railing if you are interested in a full home renovation project. For the construction of wooden deck railings, we only use the best lumber species available. With years of hands-on experience, our builders can bring out the beauty of space by constructing elegant rails. What’s even more important when it comes to rail systems is their durability. When you lean on them, you must be sure that they will hold your weight and no one will fall. That has to do with the quality of the wood, the construction of the rails, and the installation of the deck railing system. In our company, we make detailed deck railing plans to ensure all your needs are fully covered. 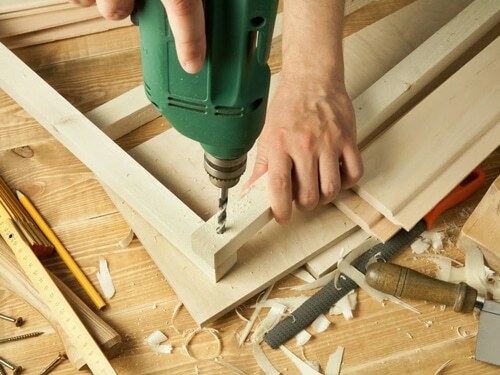 Apart from constructing them with the best wood, our techs also make sure they are installed properly. Everything about the railing system is important. We make sure the rails are well supported and aligned to ensure stability, durability, and avoidance of safety hazards. Whether or not there are stairways on the deck, the railing system will be an attractive addition that will help you move around with ease and remain safe. Get in touch with us today to learn more about our woodwork solutions. If you are interested in a Los Angeles deck railing system, we will be happy to meet your needs. Call us to make an appointment with our contractor in LA today.